early settlers arrived in the late 1870s, professional baseball was well on its way to establishing itself as the national pastime. In the 150 years since, Lamar, Delta, and Fannin Counties have turned out a number of professional ballplayers at both the minor and major league levels. Over the next several columns, we’ll take a look at these old ballplayers, some who went onto memorable careers and others whose names and accomplishments have been lost to history. When it comes to impact on the game, no Lamar County personality meant more to baseball than Ben Shelton. Born in 1878 to an Alabama cotton buyer, Ben moved to Paris as a young boy, and by the mid-1890s had become one of the city’s best ballplayers. Youngsters gazed with awe of his skill on the diamond, and Shelton repaid their admiration by offering tips on the finer points of the game. In 1899, Shelton signed on with the Texas League, splitting the season between Houston and Galveston. 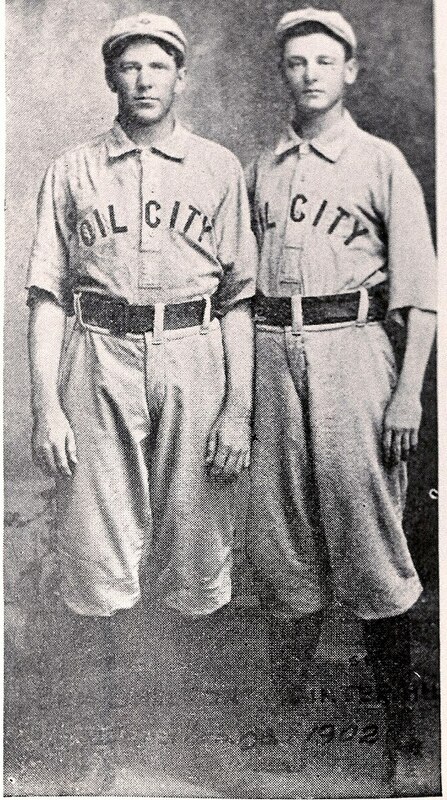 His modest .236 batting average raised few eyebrows, but Shelton did finish the year as an infielder with the champion Galveston Sand Crabs. Over the next two seasons, Shelton honed his batting skills in the Pacific Northwest. He returned to Texas in 1902, a .300 hitter with home run power. While Shelton succeeded as a player, he excelled as a manager. 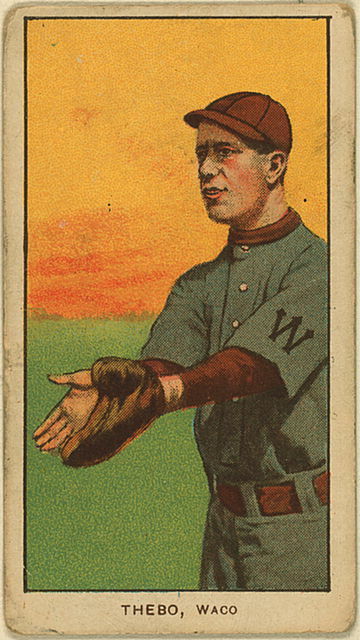 His 1906 Cleburne Railroaders took the Texas League pennant in the city’s only season in the league. But, winning the championship was far from Shelton’s greatest accomplishment of the season. Against his manager’s wishes, Cleburne owner Doak Roberts’ signed Hubbard, Texas, amateur pitcher Tristam Speaker to a mid-season contract. After a few unimpressive outings, the entire Railroaders roster soured on the youngster’s arrogance and penchant for fighting. Just as he was mulling over releasing Speaker, Shelton watched as the young pitcher shagged pregame flies in the outfield. His keen eye immediately recognized this pitcher was, in fact, no pitcher at all. Tris Speaker was a natural outfielder, who over the remainder of the season, Shelton groomed into the most prized ballplayer in Texas. The conversion became legendary, as a year later Speaker left Texas for a 22-year major league career with the Boston Red Sox and Cleveland Indians. Over 100 years later, Tris Speaker remains among baseball’s most heralded outfielders, elected to the Hall of Fame in 1937. While his discovery spent the next two decades shattering baseball’s records, Ben Shelton retired quietly into the cotton business and never stepped on a professional ball field after 1909. A life-long bachelor, Ben Shelton died in Terrell on January 5, 1945, and is buried beneath a modest headstone in Paris’ Evergreen Cemetery, his name merely a footnote in baseball history.